Turn-of-the-century Paris was the beating heart of a rapidly changing world. But the City of Light was also a violent place. Criminals eagerly took advantage of the inventive nature of the age—the first getaway car, increasingly dangerous weapons, more creative disguises. The police battled back with a weapon of their own: Alphonse Bertillon, the world’s greatest detective, the inventor of the mug shot and the crime-scene photo, and a brilliant innovator who pioneered the new science of criminal investigation. Then on August 21, 1911, came a crime like none other: Leonardo da Vinci’s Mona Lisa was stolen from the Louvre. It was assumed that Bertillon would quickly solve the mystery and retrieve the painting. It would not be so simple. 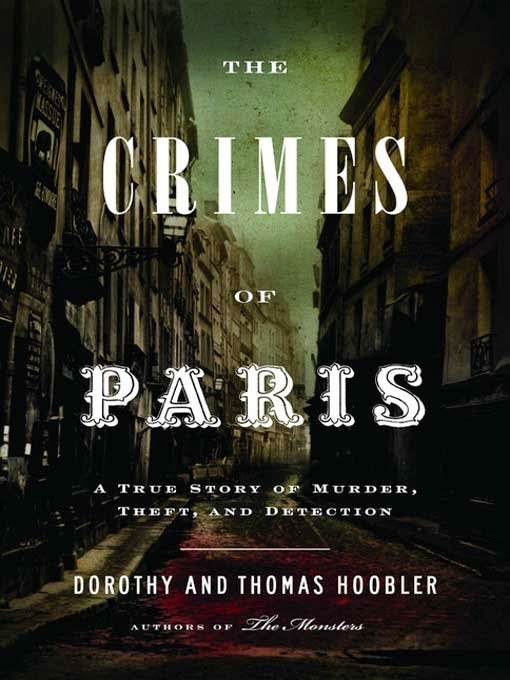 In The Crimes of Paris, Dorothy and Thomas Hoobler tell the gripping story of the theft and the investigation that followed. Bertillon and his associates would pursue clues leading them into the world of avant-garde artists, cheap apartments in Montmartre and Montparnasse, cabarets, and from this first great mystery into yet others. Their suspects would be everyone from the poet Guillaume Apollinaire to J. P. Morgan to Pablo Picasso. A vivid tapestry of Paris, daring thieves, and relentless investigators, The Crimes of Paris is a heart-pounding true-crime thriller of the highest order, as well as a brilliant account of the modern detective.